Obama says inspectors get access to "any" site in Iran. Is it true? When President Obama hailed the Iran nuclear agreement on television Tuesday morning, he said the said it would usher in an era of unprecedented access to Iran's nuclear facilities. "Inspectors will also be able to access any suspicious location. Put simply, the organization responsible for the inspections, the IAEA, will have access where necessary, when necessary," the president said. But how true is that statement? The world powers negotiating the Iran deal very much wanted the International Atomic Energy Agency (IAEA) to have unfettered inspections, and the conditions for access to sites are a key part of the agreement lawmakers will be examining as they decide whether to support the deal. In May, Iran's Supreme Leader Ayatollah Ali Khamenei told military commanders that he would not allow any inspections of the country's military sites. The issue was one of the more difficult points of contention during the talks and was resolved only near the end. The IAEA has long sought to inspect sites like the Parchin military base where Iran is suspected to be engaging in nuclear weapons development, but Iran has denied them access. Senior administration officials told CBS News State Department Correspondent Margaret Brennan that the concept of truly unfettered inspections anytime, anywhere is only possible if there is a military occupation of a country. They believe the U.S. got the best possible deal just short of that. So what does the deal actually say on the subject? The agreement allows for a "long-term IAEA presence in Iran" to monitor materials and nuclear development that wouldn't be used in weapons. 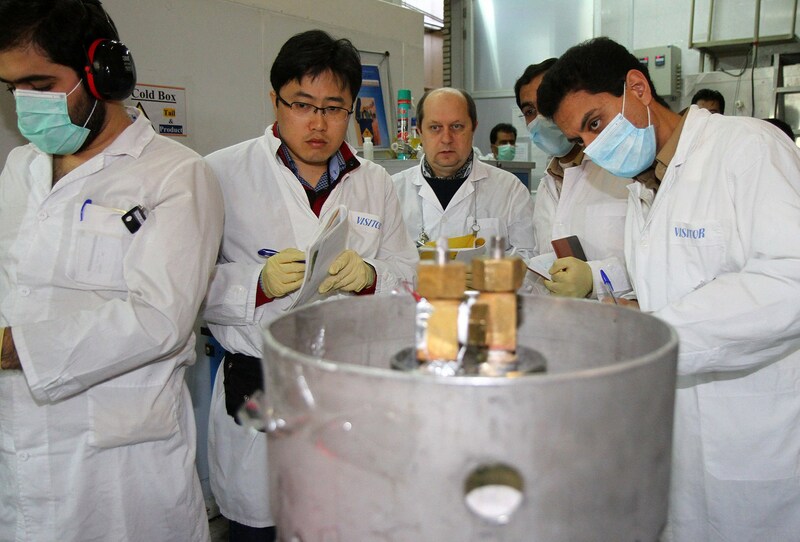 Inspectors will have continuous monitoring capabilities at known nuclear facilities like Fordow fuel enrichment plant and the Natanz enrichment facility. For other areas in the country, including military sites where there is suspected nuclear activity, IAEA inspectors will have to request access. If inspectors have concerns that Iran is developing its nuclear capabilities at any of the non-official nuclear sites, they are allowed to request access "for the sole reason to verify the absence of undeclared nuclear materials and activities or activities inconsistent with" the agreement. They must also inform Iran of the basis for their concerns. Iran, in response, can propose alternatives to inspection that might satisfy the IAEA's concerns, the deal says. But if they can't come to an agreement to satisfy the inspectors within 14 days of the original request for access, the issue goes to a joint commission that consists of representatives from the P5+1 powers (the U.S., China, Russia, France, the United Kingdom and Germany), Iran, and the European High Representative for Foreign Affairs. They have another seven days to reach an agreement that must be supported at least five of the eight members. If they decide inspectors should get access, Iran has three days to provide it. Iran nuclear deal: What are the next steps? That means a total of 24 days could elapse between the time inspectors first request access to a suspicious site and the time they are allowed entry. The deal does not explicitly state what would happen if the Joint Committee deadlocks, four to four. "It's not anytime anywhere. It doesn't allow [inspectors] to go to a site and say, 'hey I think something must be going on there, give me 24 hours and I'm in,'" Sharon Squassoni, the director of the Center for Strategic and International Studies' Proliferation Prevention Program, told CBS News. Squassoni said Iran does have a lot of room to "wiggle out of things" if they don't want to give inspectors access. They could also take advantage of the 24-day delay to pave or paint over evidence of building the components needed to produce a nuclear weapon. But she called it a compromise, and not a bad one for the U.S., since Iran wanted an outright ban on inspectors at military facilities. "Anybody who expected that we were just going to be able to go in on short notice and walk around military facilities was either dreaming or really optimistic," she said. In fact, Squassoni argued that the IAEA will have broad grounds to push for inspections because the agreement with the P5+1 powers includes a whole list of activities related to building nuclear weapons and manufacturing centrifuges. "I think that is what will make it easier for them to gain access," she said. It remains to be seen whether, as the president said, inspectors will really have access "where necessary, when necessary." Still, while the statement - in light of the compromises made - may seem optimistic, sanctions relief for Iran will ultimately depend on whether the IAEA inspectors are satisfied that they have the access they need.